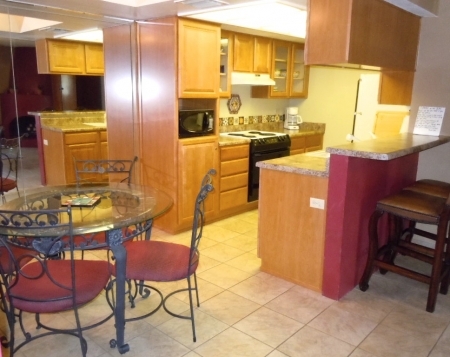 Phoenix condo is located in a gated community and is the perfect setting for enjoying a relaxing break away from your stressful schedule. 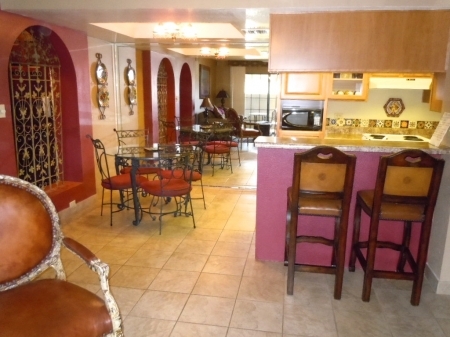 A 2 bedrooms and 2 bath vacation rental condo with a sleeping capacity for 4-6 people, this vacation home in Phoenix, Arizona enjoys a location in a gated tropical community close to the Phoenix North Mountain Preserve and over 40 golf courses within a 10-mile radius, making it a perfect base for those seeking to enjoy a getaway in the great outdoors. 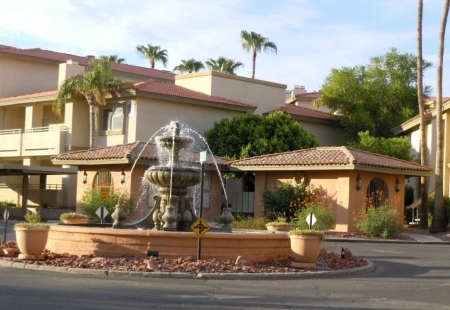 Amenities such as three TVs all with cable, High speed wireless internet,three DVD players, and three CD players with surround sound system stereo and facilities such as access to the community’s three heated swimming pools, Jacuzzis, tennis courts, and basketball court further enhance your vacation experience in this Phoenix condo. The pool enclosures all have patio furniture, gas grills, and a wet bar area, showers, and restrooms. You can enjoy a dip in the pool before relaxing by the poolside with your favorite drink from the wet bar and even grill some steaks for your private barbecue party by the poolside. With two master bedrooms suite, each featuring a dressing room, queen-size bed, full-sized bath, walk-in closets, and opening to the patios; a nicely furnished living room; and a fully-equipped kitchen that includes a range, microwave, refrigerator, coffee maker, dishwasher, garbage disposal, and cooking/dining ware for your cooking needs and a full-sized washer and dryer for your convenience, you will find that this 2 bedroom Phoenix condo can comfortably sleep four people and is perfect for your family vacation in Phoenix, Arizona. Call (561) 315-7484 open dates and for seasonal rates. Ask about our Great Referral program. We accept Visa, Mastercard, International Money Orders, and Bankers Cheque. 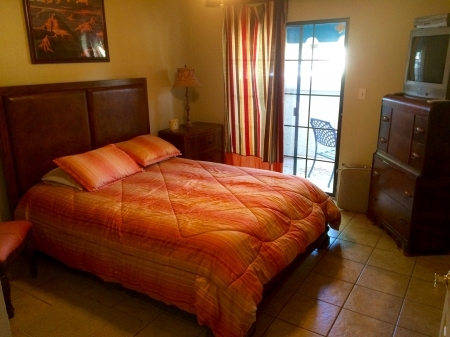 June, July, August, and September $70.00 per night with a 3 night minimum stay. 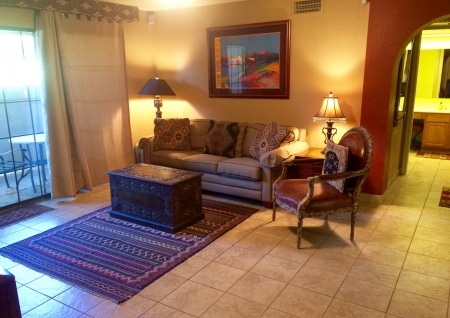 October, Novemeber, and December $110.00 per night with a 3 night minimum stay. Week of Christmas is $950.00.